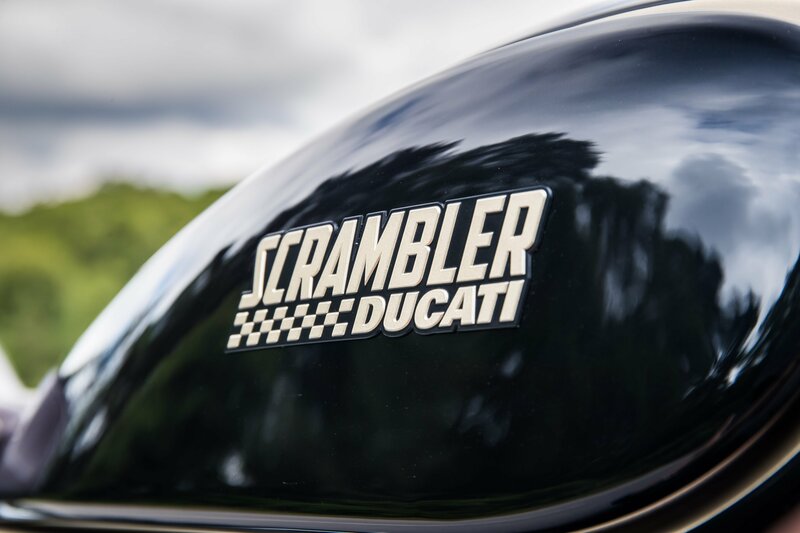 We’ve had the Ducati Scrambler Full Throttle, the Scrambler Icon, the awesome Scrambler Desert Sled and a Scrambler Classic. Surely there isn’t room for any more playful iterations of what is essentially Ducati’s retro-tastic hipster machine? 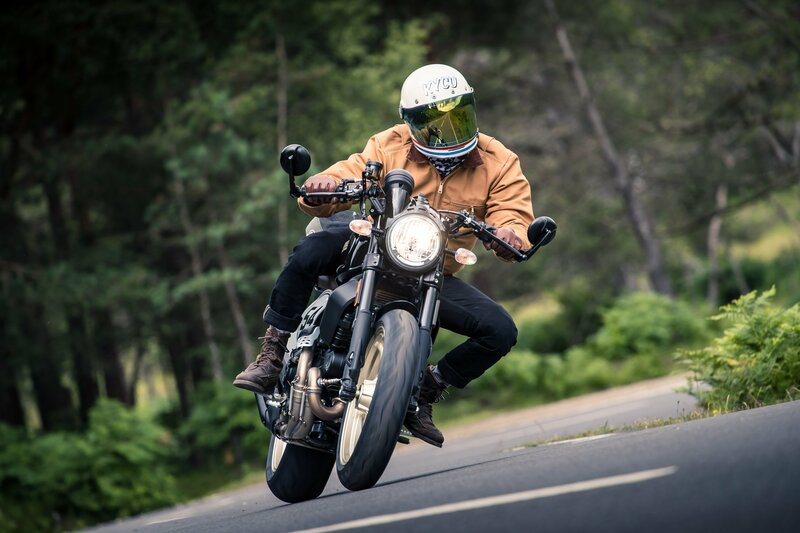 Well, you’re wrong, because Ducati has gone for a full house of beard-friendly buzzwords with the Scrambler Café Racer – a stylish take on the café-to-café racers of the 1960s but one that packs some essential mod cons and the Italian marque’s twin-cylinder 803 cc air and oil-cooled lump. 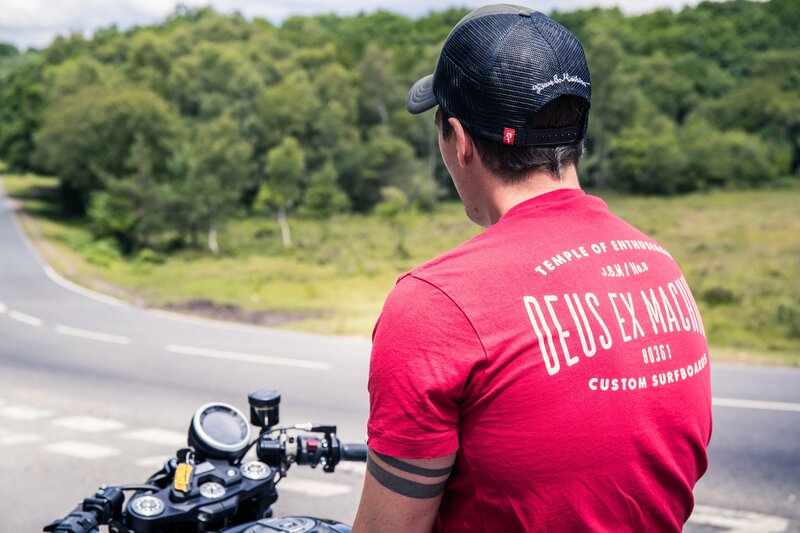 Let’s start with an admission: we absolutely loved the Ducati Scrambler Desert Sled and adored the way it would impishly tackle some off-road shenanigans, as well as turn heads when it cruised the city streets. 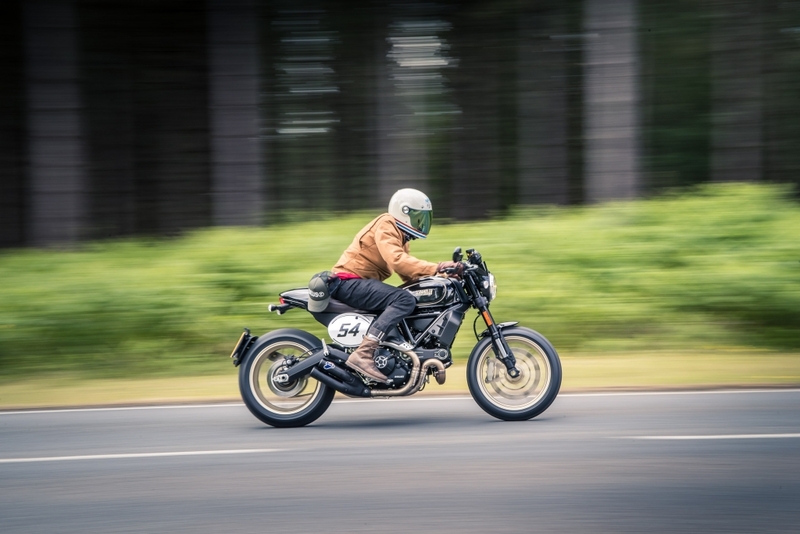 The Scrambler Café Racer remains utterly adept at the latter. 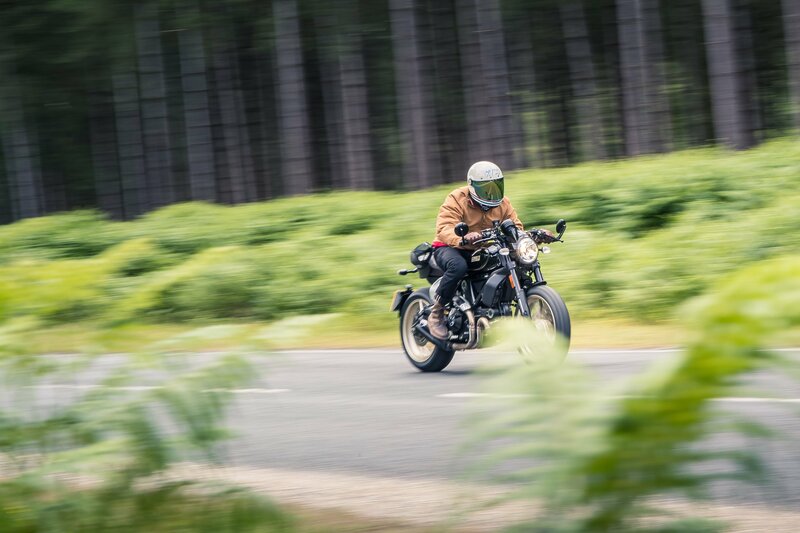 In fact, it looks well and truly knockout in its black and gold livery, gilded rims and tan leather seat but it lacked the jovial ‘go anywhere’ charm of Desert Sled when it rolled off the back of the delivery van. Perhaps it’s because it is absolutely tiny. The seat is placed just 805mm from the ground, while the 2,107mm length and 188kg wet weight make it a complete doddle to manoeuvre from said delivery van to a suitable parking space, immediately earning it some inner-city commuter points. Turn the stubby key in the ignition and the small electronic dial springs into life. 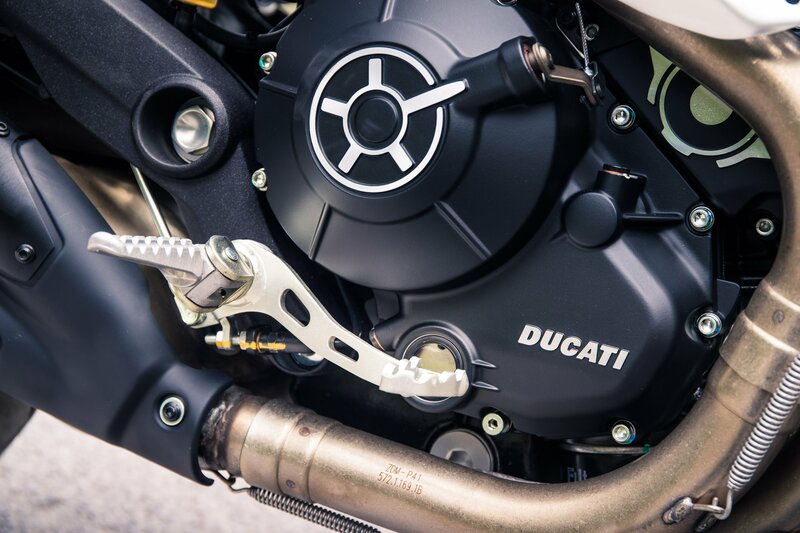 There’s a rev counter and a speedometer but Ducati doesn’t offer a gearshift indicator or a fuel gauge – only a warning when fuel is dangerously low. It’s kind of cool but a little bit baffling on a bike that starts at £9,395 and is designed to tear the super cool away from their custom machines with the promise of modern technology and the practicality that comes with it. 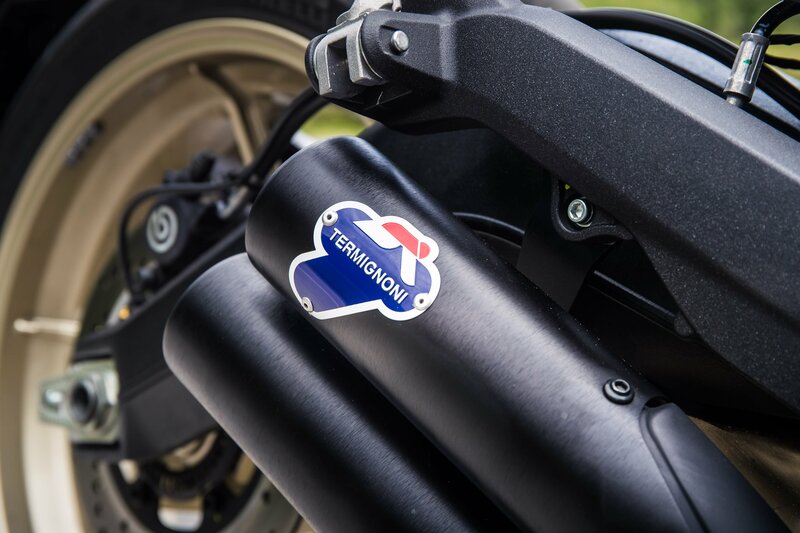 Sod it, any sensibleness is soon scrubbed off when the engine is fired up and those beautiful Termignoni pipes start to sing. It’s not overly loud but the subtle thrum of the engine below at idle and subdued growl when the revs climb is a damn sight more aurally pleasing than many modern machines. 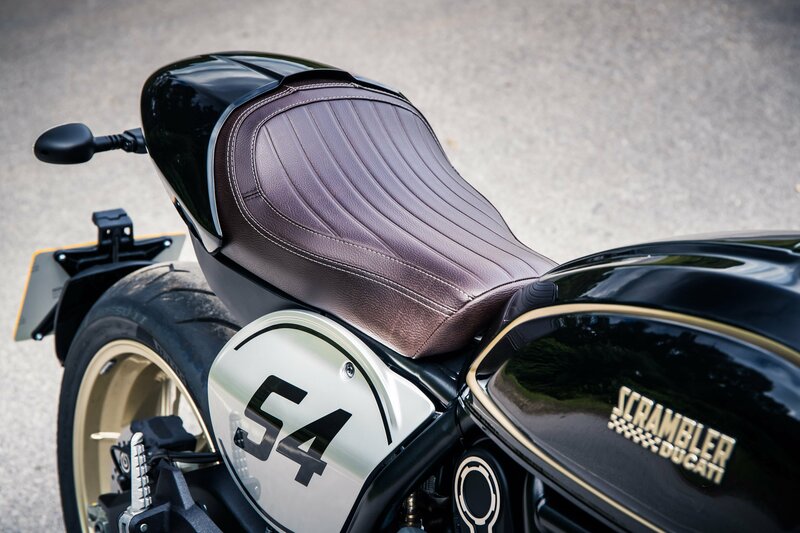 Admittedly, the gently dropped bars and forward sloping seat do take a bit of getting used to at first and it’s not recommended to ride in fashionably tight jeans if you enjoy fully-functioning private parts but it slowly becomes comfortable. 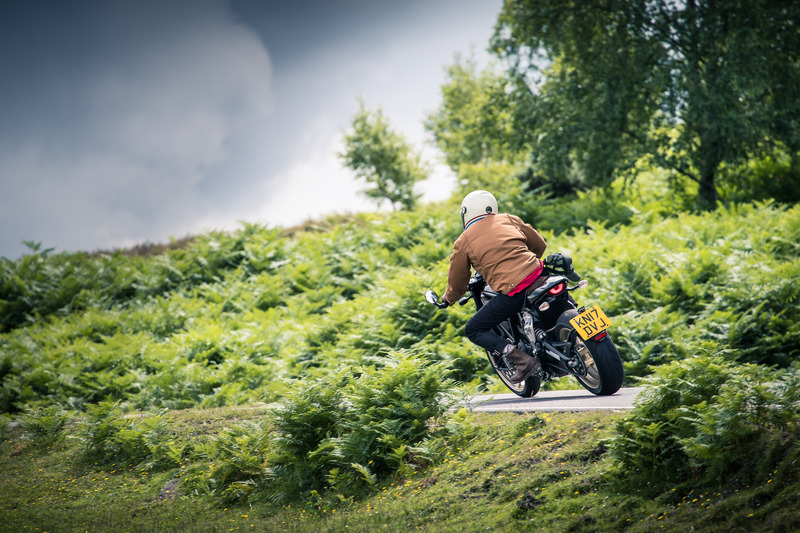 The biting point on the refreshingly light clutch is late, which again takes some getting used to, but it instantly suggests this is a bike that’s at home filtering through busy traffic rather than tearing up a race circuit. 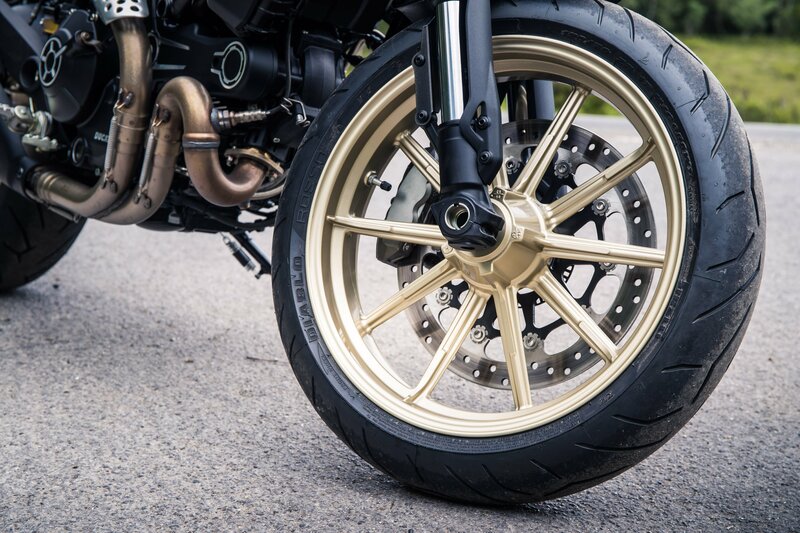 This point is further rammed home by the long gearing, which makes trundling around in second or even third gear possible, rather than frantically working the ‘box when the traffic starts building. 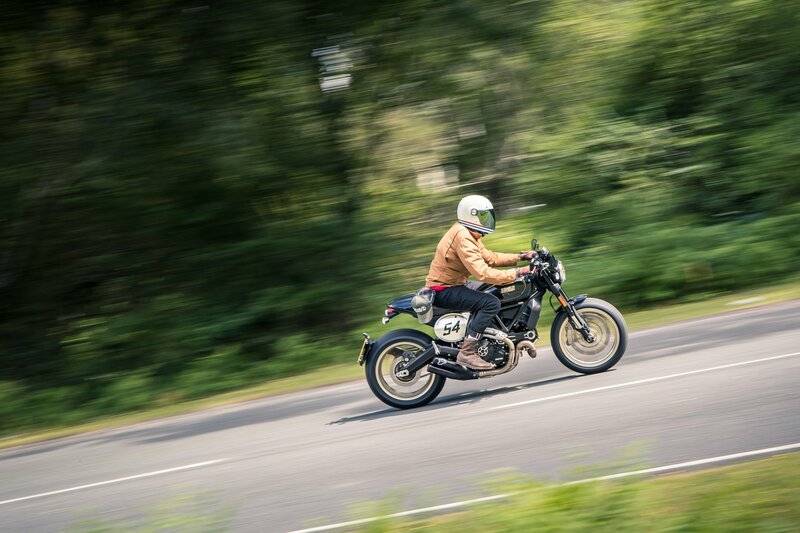 But get the Ducati Scrambler Café Racer out on an open road and it really comes to life, those Pirelli’s Diablo Rosso II-wrapped rims offering loads of grip through corners (so much so, there’s no need for electronic traction control here), while the Brembo brakes provide plenty of stopping power. 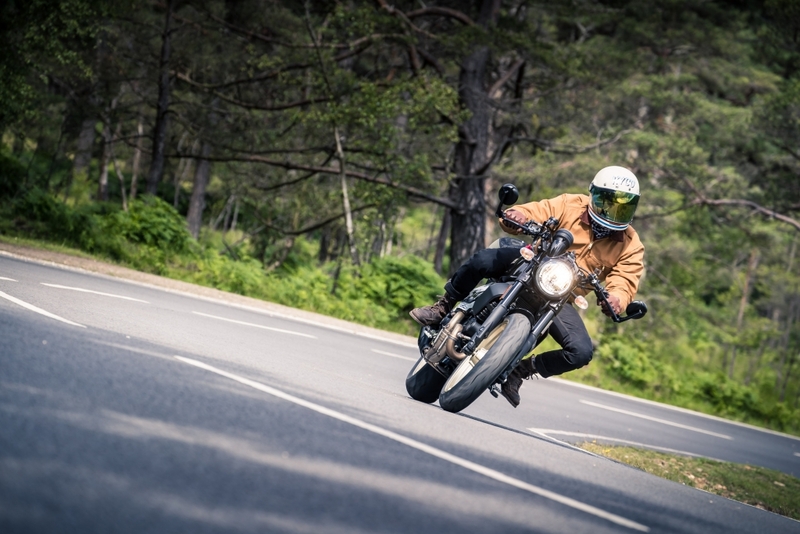 The bike’s tiny frame really begins to come into its own on the twistier routes, with the relatively powerful 73hp engine just begging to be wound on when exiting tight curves and flying along the straights. 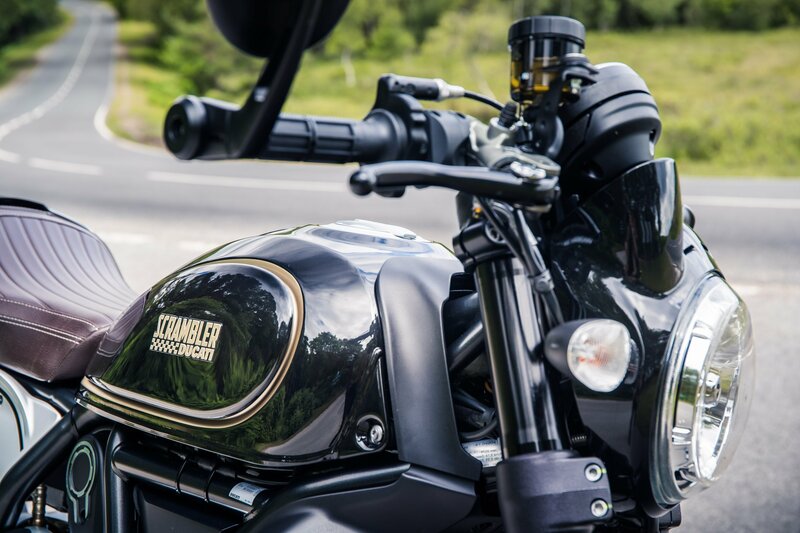 With just 67Nm of torque, it lacks a bit of low-down punch but the bike allows plenty of speed to be carried through the bends thanks to well-judged steering and suspension set-up. In short, it’s a hoot. Man, it looks good parked up too. 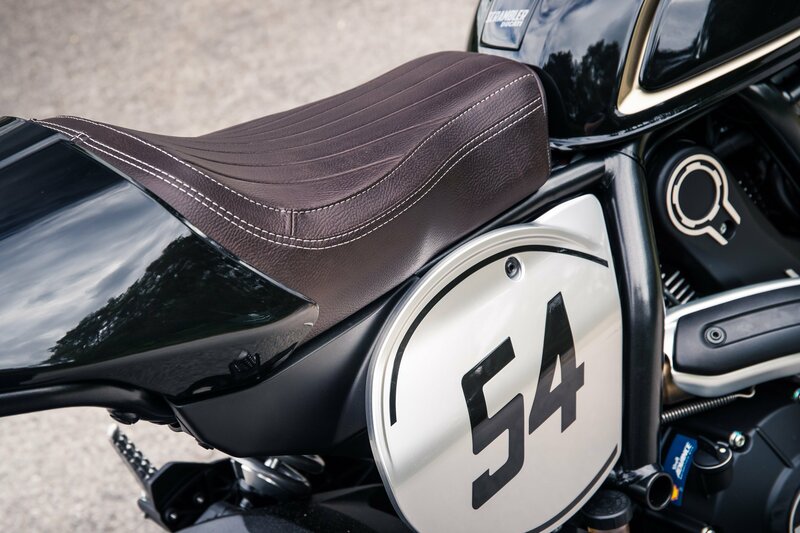 The teardrop tank, bar-end mirrors and side-mounted plate certainly adhere to visual minimalism of the 1960s racers but it takes on a more modern aesthetic with neat little touches, such as the under-seat storage compartment with USB socket and pillion passenger cowling, proving that it is an everyday proposition. 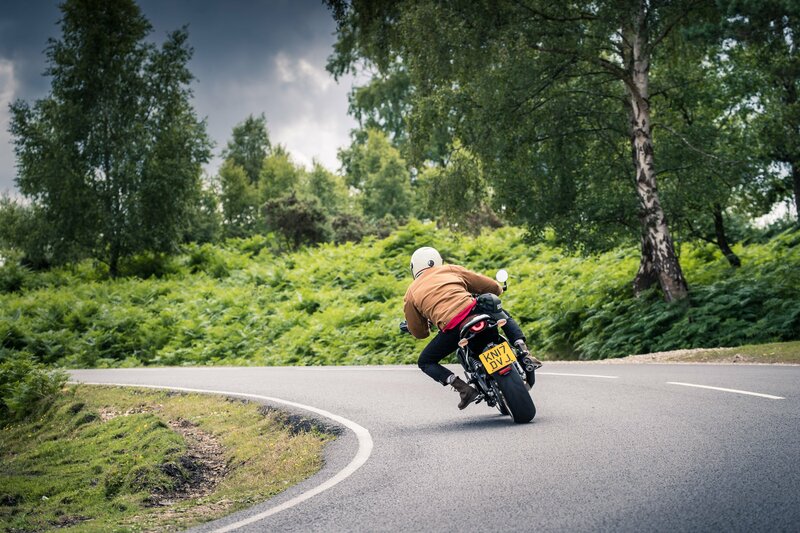 There are definitely some downsides, the lack of fuel gauge and traction control being a couple, as well as the slightly uncomfortable riding position, but these can forgiven in the pursuit of cool. 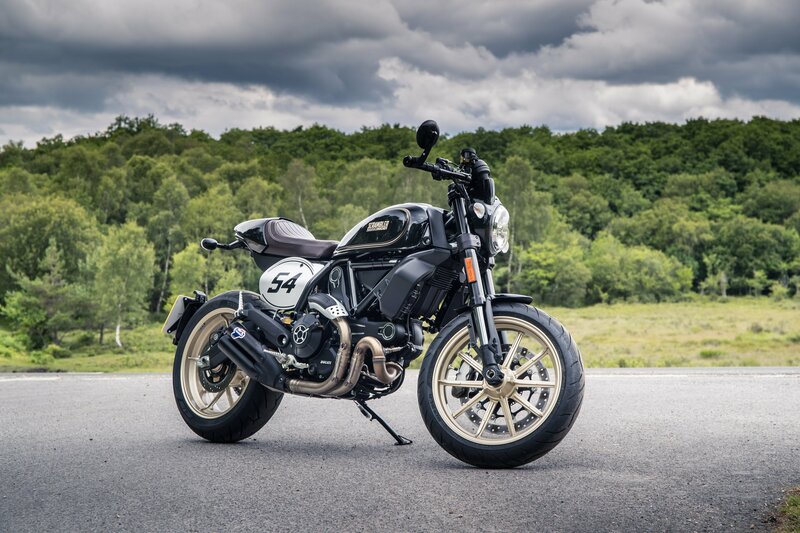 The hefty initial outlay, on the other hand, might be a slightly tougher pill to swallow, as it moves the Ducati Scrambler Café Racer away from a fun toy that is used to race between hip cafés of a weekend and into more serious motorcycle territory. If we had that sort of cash down the back of the sofa, we think our hearts still lust after the carefree promise of Desert Sled.